Congratulations! You’re getting married! Now the planning begins; have you thought of having a weekday wedding? Planning a wedding can be a very stressful time. There is so much to think about, for example, venue, reception, DJ, entertainment, guests and most importantly the date. The obvious day of the week to pick to get married is a Saturday but this can be so expensive and also you have to book way in advance to get the Saturday you want. Why not try a weekday; you could probably save and have exactly the date and time you want. There are many advantages to having your wedding on a weekday. Most people choose the more usual weekend wedding but a weekday can also be a great event. Celebrating during the week could save you a lot of money. If you book a weekday wedding, you will most probably have a fabulous choice of venue, photographer, DJ, caterer as they are all more likely to be available during the week. As I am sure you are aware, all the elements that bring a wedding together are extremely busy and expensive on a weekend. If you have a weekday wedding, the venues are less likely to be fully booked and this can only make the experience of booking your wedding a less stressful one. Another thing to consider is if you have decided to get married and you think it is a little bit short notice you are more likely to get booked wherever you desire. Just because you have decided to have a weekday wedding, you have exactly the same entertainment options for your weekday wedding; in fact you will have more chance of booking the exact entertainment you wish to have as they are more likely to be available during the week. Just because you have decided on a weekday wedding, it doesn’t mean you that you can’t party as you would at the weekend! Book a great wedding DJ and your wedding could be any day of the week! A DJ such as DJ Knight would be a great choice for your weekday wedding as he could make any day feel like it’s the weekend! Your weekday wedding reception would be a fantastic party where you and your guests would dancing the night away to all your favorite tunes! You may worry about having a weekday wedding as you will be thinking of your guests being able to attend. 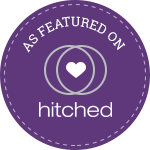 If you book your weekday wedding, you can let all your guests know in advance. Your guests will most probably enjoy a break in the week to celebrate your special day; depending on where choose to get married they may even incorporate it into a holiday! Book a weekday wedding and you are sure to have a fantastic day.